Summer is ending here in Maine, and its been so dry that the leaves are turning color just from the excessive drought we’ve experienced for quite a while now. We see that lots of our friends & customers in the South have had major flooding, and wish there was a way to get some of that rain up here. We’d welcome it! But, what goes around comes around, so I expect the pendulum will swing the other way pretty soon. Speaking of coming around again, we’ve developed a new wrinkle on our old favorite SRC Carbine. We took a Medium Profile .223/5.56 barrel, pushed the gas port out to the Mid position, added the mid-length heat shielded hand guards. The result is a well balanced and versatile rifle – our new R16MLFTT SRC-MID. With a bit longer sight radius, whatever sights you add to it will help improve the already excellent accuracy in our barrels. Ask your local FFL dealer about it, and if he doesn’t have one in yet, rest assured he will soon as we’ve been sending them out regularly to all the distributors this summer. Check out the details on this new model below. 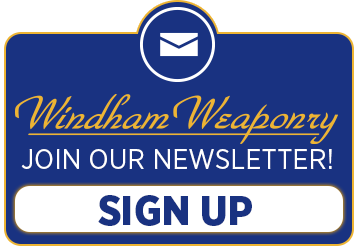 That new SRC-MID – as well as all our rifles and accessories can be seen at www.windhamweaponry.com or call us for a free catalog (1-855-808-1888). This photo shows the carrier compressing buffer and spring all the way to the rear. Due to a large number of inquiries from customers on this topic for both .223/5.56 and .308, we are highlighting this question again. reliability of your rifle. Adjusting the gas system is easy – the front of the gas block has a dial that accepts a flat screwdriver, 3/32″ hex wrench, or the adjusting tool included in the kit. The system features a straight gas tube to eliminate the heat buildup that exists at the bent portion of a standard gas tube. This feature is extremely important for select-fire and/or suppressed rifles which are subject to very high heat levels. By reducing the built up heat, reliability and durability are improved. The Gas Block and Regulator are machined from 4140 Chrome Moly steel and nitride heat treated for the utmost durability. The Gas Tube is made from 304 Stainless Steel. The system mounts on .750″ diameter barrels by means of taper pins or set screw, and installation by the WW factory or a skilled armorer/gunsmith is recommended. This Gas Block is intended for use with free-floating handguards only. Photo below shows the complete CAR Length package as well as its component parts and adjusting tool. The MID; RIF & MID-308 models differ by length. Made in USA by POF (Patriot Ordnance Factory). 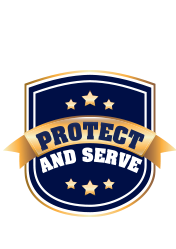 For anyone that might be planning on attending the ITOA Conference (Illinois Tactical Officers Association) in Illinois in October (Stonegate Conference and Banquet Centre, 2401 West Higgins Road, Hoffman Estates, IL 60169), please be sure to come visit the Windham Weaponry booth. I’ll be attending the conference from October 9th to the 11th, and I look forward to seeing you. Earlier this month we attended the NASDEA conference in Portland, Maine. It was great to meet all the great guys and gals from around the country. At this conference a Windham Weaponry, Inc. rifle was part of a raffle. We would like to say Congratulations to winner Scott S. from New Hampshire. And our Store is completely stocked with all your shooting needs. Keep checking our website for news of special events!